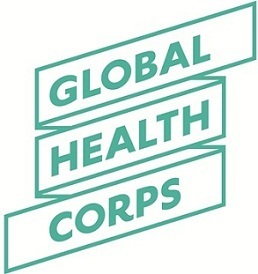 Global Health Corps Fellowship position descriptions are up! For a list of available positions for the 2014-2015 Fellowship Class, click here. The Yiddish Book Center Fellowship Program is looking for recent college graduates with a background in Jewish studies (or related disciplines) and a working knowledge of Yiddish. The Yiddish Book Center aims to preserve Jewish culture and heritage through literature. The founder of the Center, Aaron Lansky, realized that untold numbers of irreplaceable Yiddish books, which were the primary legacy of 1,000 years of Jewish life in Eastern Europe, were being discarded by American-born Jews that could not read Yiddish. The Yiddish Book Center has more than a million volumes in its libraries and their goal is to place these books in the hands of new readers. Their initiatives include education, translation, publications, oral history, exhibits, and public programs. To learn more about being a fellow, click here. The Global Diversity Foundation is hosting the 4th annual Global Environments Summer Academy (GESA) in Burn, Switzerland! The first application deadline of the two-stage application process is January 15th. GESA works to broaden and deepen the knowledge, networking, and communication skills of postgraduate students and professionals who are concerned about the human dimensions of climate change and environmental challenges. GESA addresses the scale and scope of these challenges and puts them in context of contemporary environmental issues, history, and political ecology. Repair the World is on a quest to find courageous, compassionate go-getters who are eager to commit to a year of service in their community, developing partnerships with local organizations doing great work and rallying local volunteers to do even more. 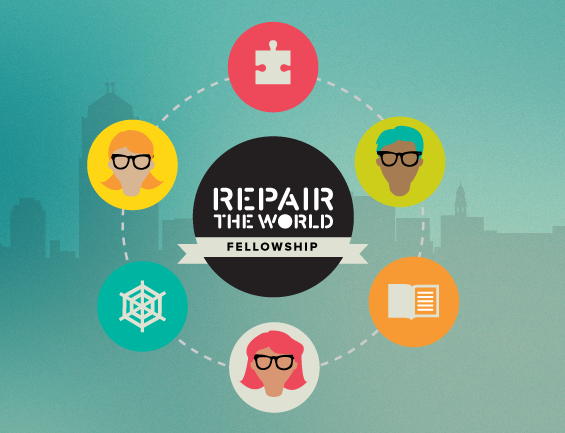 Repair the World Fellows will focus on a range of issues, including education, poverty, sustainability, and hunger. Yahel Social Change Program is a unique 9-month service learning experience for young adults between the ages of 21 and 27. The program, located inn Gedera, Israel, combines hands-on volunteer work with in-depth learning and immersion. Yahel participants explore Israel by living, learning and volunteering alongside their peers from the local Ethiopian Israeli community. Yahel and its participants make meaningful contributions to Israeli society by working in collaboration with Friends by Nature – an Israeli grassroots organization working in the Ethiopian community in the fields of community empowerment and education. Accredited WINTER & SPRING & SUMMER Programs! 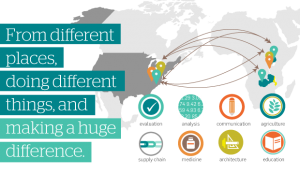 In order to compete in an increasingly global workplace, you need real-world international experiences. 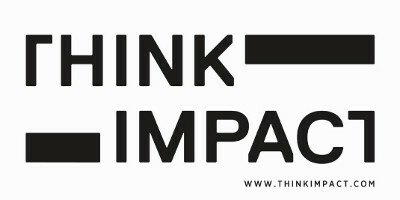 ThinkImpact sends students around the world to explore social entrepreneurship in an entirely new way. ThinkImpact offers accredited programs across the globe that last from 1 to 8 weeks depending on the institute in Ghana, Rwanda, Panama, and South Africa. Echoing Green provides a springboard for realizing your contribution to solving the world’s biggest problems. Since their founding in 1987 by the leadership and investment of the leading global growth equity firm, General Atlantic, Echoing Green has provided nearly 600 promising social entrepreneurs working in over forty countries with $33 million in start-up funding, customized support services, and access to Echoing Green’s global network of champions. Visit their website to learn more about job opportunities and fellowships that have an impact! The New Sector Summer Fellowship program is an intensive 11-week program for current and recent undergraduate students and graduate students who are committed to the social sector. Fellows are selected from a highly competitive pool and serve in a cohort of 25 fellows with organizations in Boston, San Francisco and Chicago areas. Fellows serve full-time to strengthen nonprofit and community organizations, while engaging in intensive professional development activities to strengthen their skills for immediate and future impact. Princeton in Latin America (PiLA) is a non-profit organization that partners with non-profits throughout Latin America to match them with young, public sector professionals seeking full-year fellowships in development work. We are an independent 501(c)3 which is not funded by Princeton University. PiLA placements offer important field experience to recent college alumni who cannot otherwise find NGO work in Latin America and who are eager to pursue careers in development work; no other program like this exists. Therefore, PiLA provides crucial work experience to aspiring public sector professionals. Founded in 1999, Princeton in Africa develops young leaders committed to Africa’s advancement by offering yearlong fellowship opportunities with a variety of organizations that work across the African continent. Princeton in Africa matches talented and passionate college graduates with our partners working across Africa for yearlong service projects. During their year of service, our Fellows create connections that last their lifetime. Some stay and continue to work in Africa, others leverage their experience to launch careers in international development. No matter where they go, our Fellows’ experiences with Princeton in Africa transform their lives and perspectives about the world and their role within it. Bridging the Gap – Attention First-Years! The Bridging the Gap Internship Program was established to provide internship opportunities for outstanding Black, Hispanic, Native American, and LGBT students who have been historically underrepresented as employees in the financial services industry. Best efforts are made to match the interests and skill sets of the prospective intern to the needs of the business unit in which she/he will be placed. 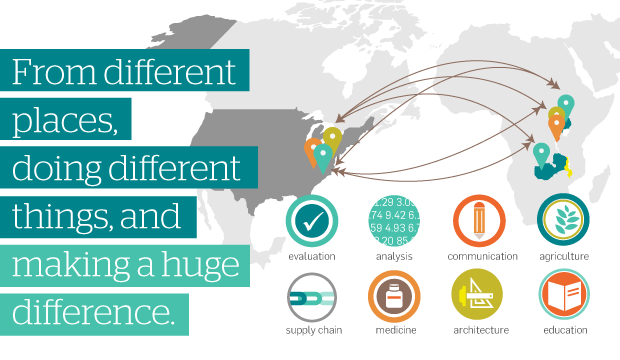 Global Health Corps places talented individuals from a wide variety of backgrounds in high impact roles in NGOs and government agencies in sub-Saharan Africa and the US in a 1-year, paid fellowship. Through intensive training, professional development, mentorship, and thoughtful community building, we ensure that fellows are equipped to be global health changemakers.